The way I used to eat Oreos was dunking them in a glass of milk for a few seconds so that the cookies soften up. The best part was when the glass of milk gets flavored with the Oreo cookies, which reminded me of a chocolate Oreo shake. 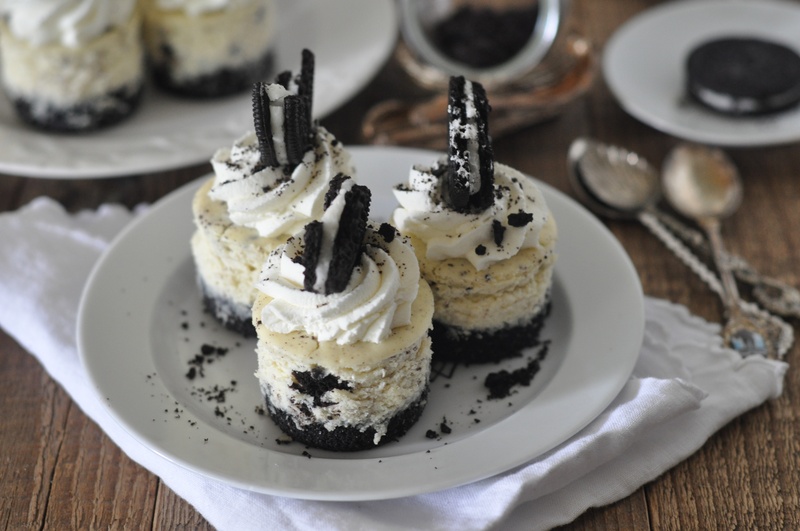 It’s been awhile since I actually bought a package of Oreos, until now, to make these mini Oreo cheesecakes. 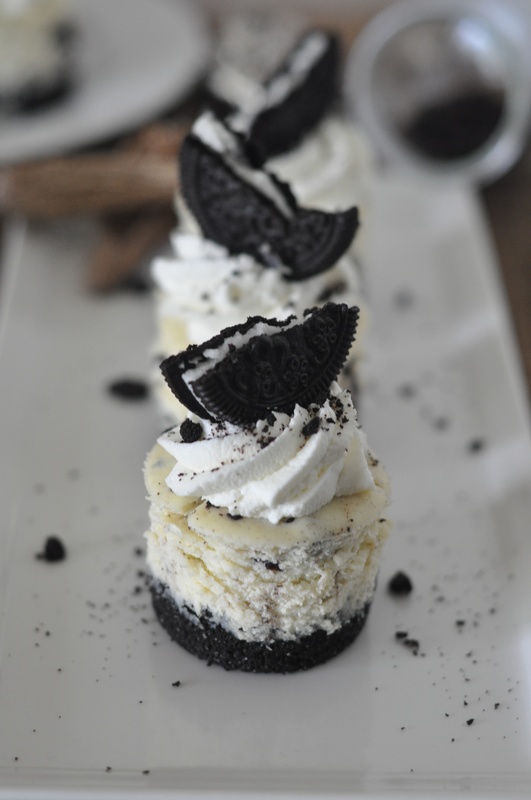 The Oreo crust was amazing and adding crushed Oreos to the cheesecake filling intensified the flavor even more. 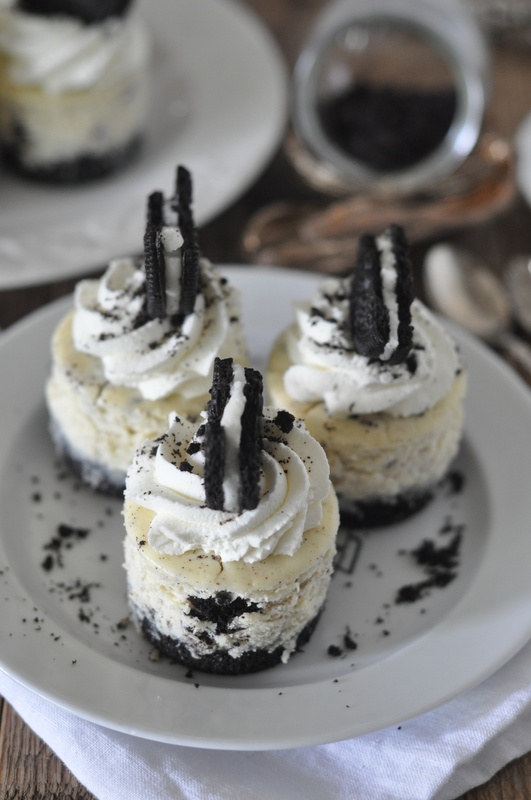 These Oreo cheesecakes are a great alternative if you’re looking for other flavors of cheesecakes. 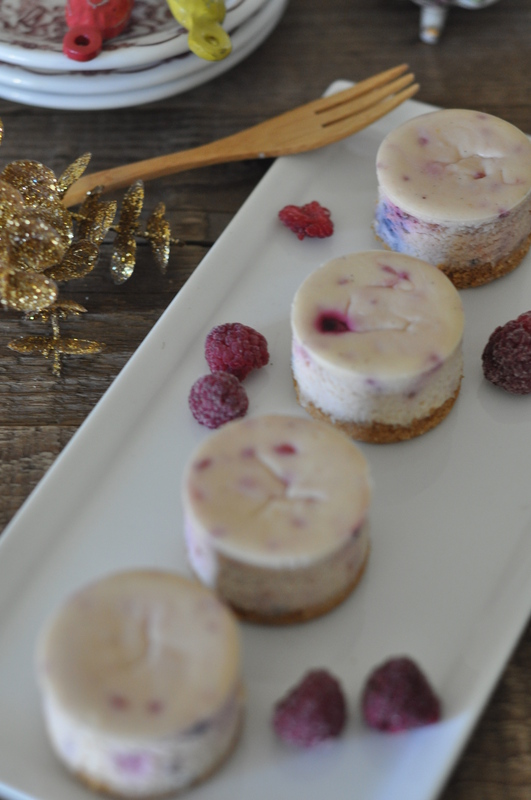 Since I have been using a lot of berries lately in my desserts, I wanted to try a different flavor. 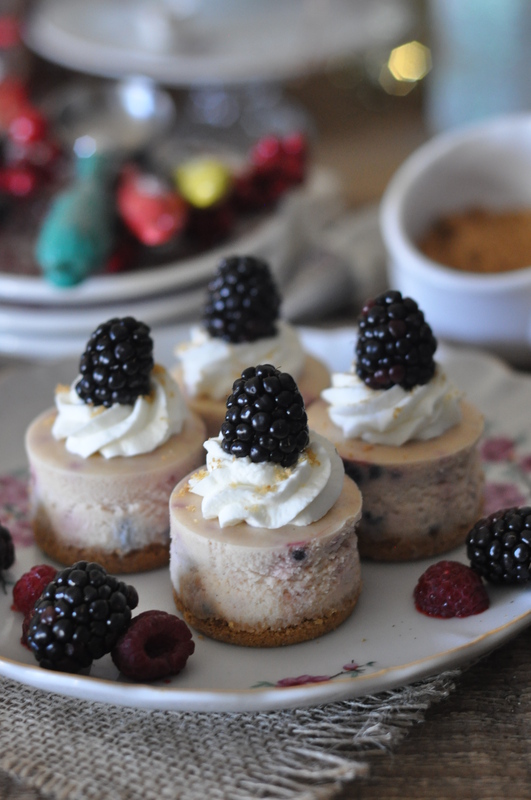 Not to mention, one of my favorite ice cream flavors is cookies and cream, so these cheesecakes are up there in terms of one of my favorites. Separate Oreo cookies and scrape out the white filling. 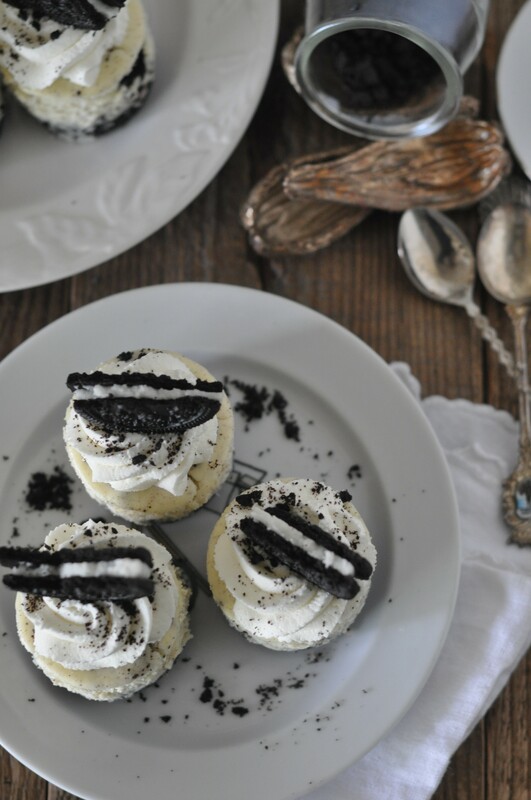 In a food processor, pulse Oreos and sugar together until finely crumbled. In a separate bowl, combine Oreo crumbs and melted butter. Mix to fully coat the crumbs. Divide crumb mixture evenly into mini cheesecake pan. Press crumbs firmly into the bottom of the pan. Bake at 275F for 10-12 minutes. Set aside to cool. In the meantime, prepare the cheesecake filling. Combine cream cheese and sugar in a mixer bowl. Mix until combined. Scrape bottom of the bowl as needed. Add the eggs, sour cream and vanilla extract. Using a spatula, fold in crushed Oreos. Divide filling in the mini cheesecake pan. Bake at 275F for 30 minutes. 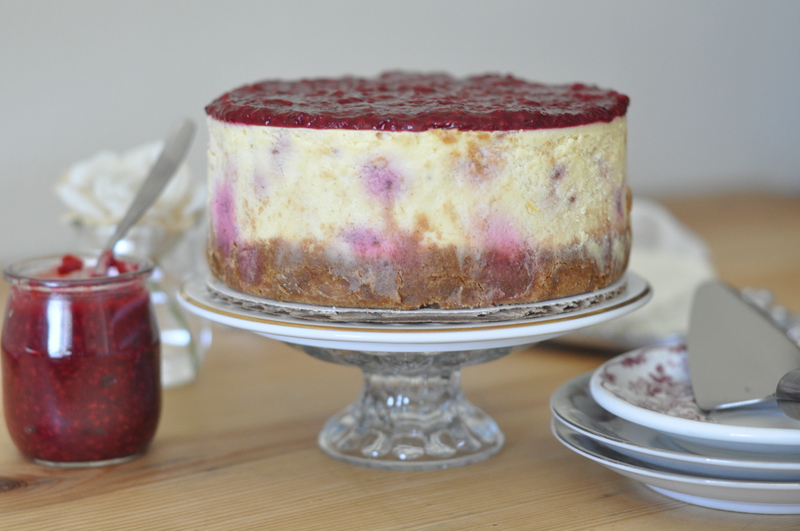 Cheesecake is done when it is firmly set. Remove from the oven and allow to cool completely. 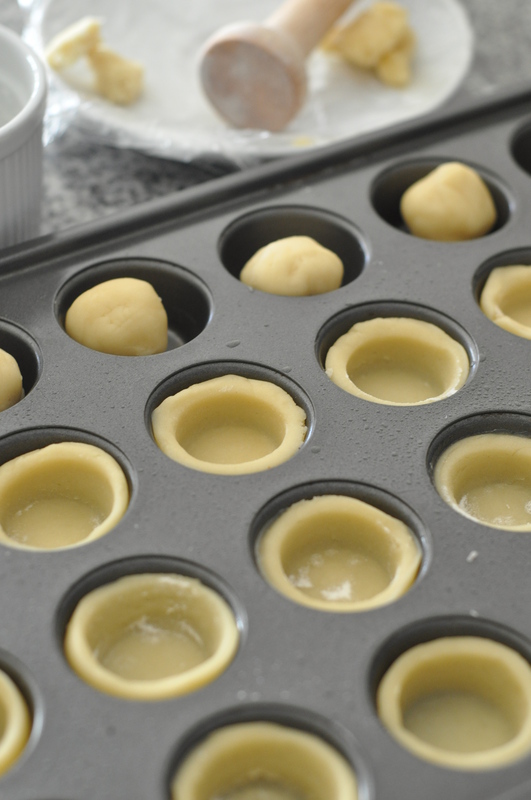 Once cooled, refrigerate overnight and unmold the next day. 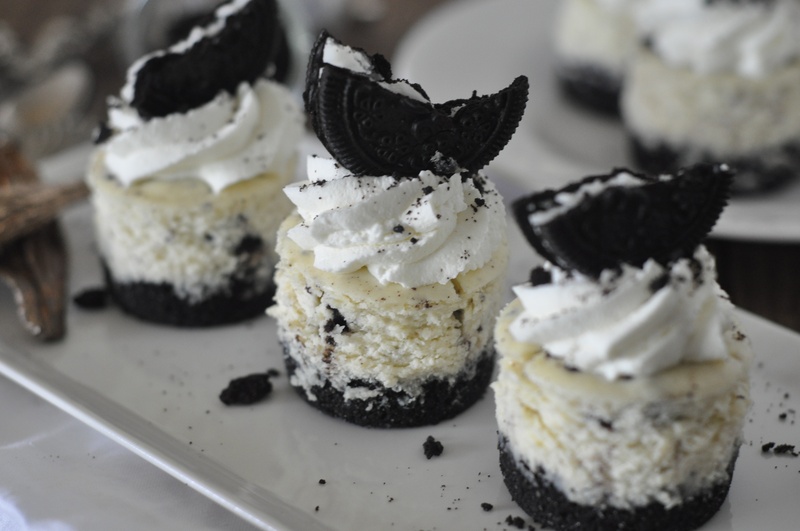 Garnish with whipped cream and more Oreos. Happy New Year! I hope everyone had a safe and fun New Year’s Eve celebration. 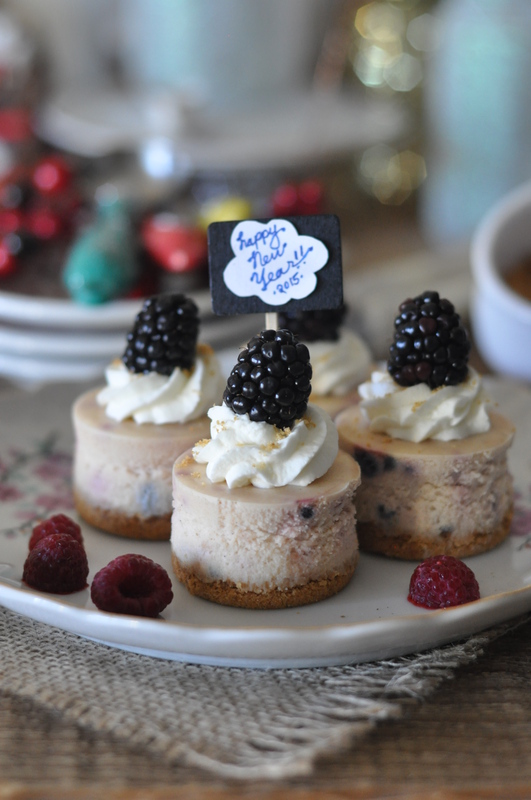 I couldn’t ring in the New Year without desserts! 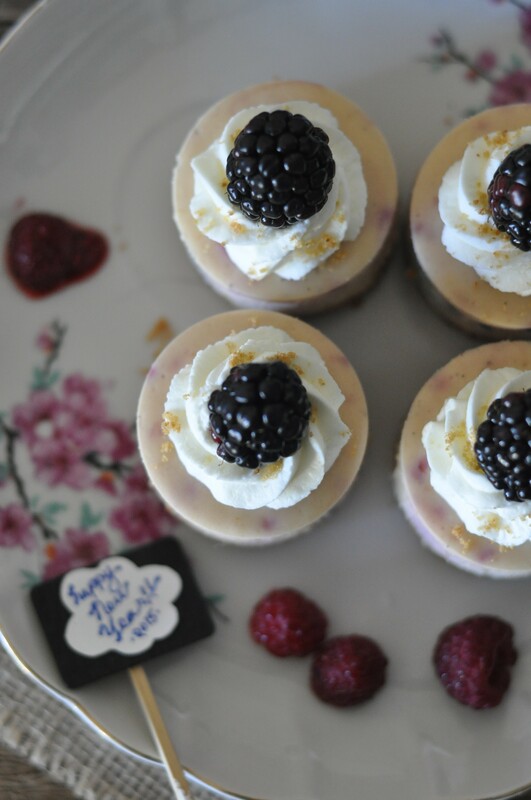 When the clock hit midnight, I had my red wine and mini raspberry cheesecakes in hand, hoping to make it an even sweeter year ahead. 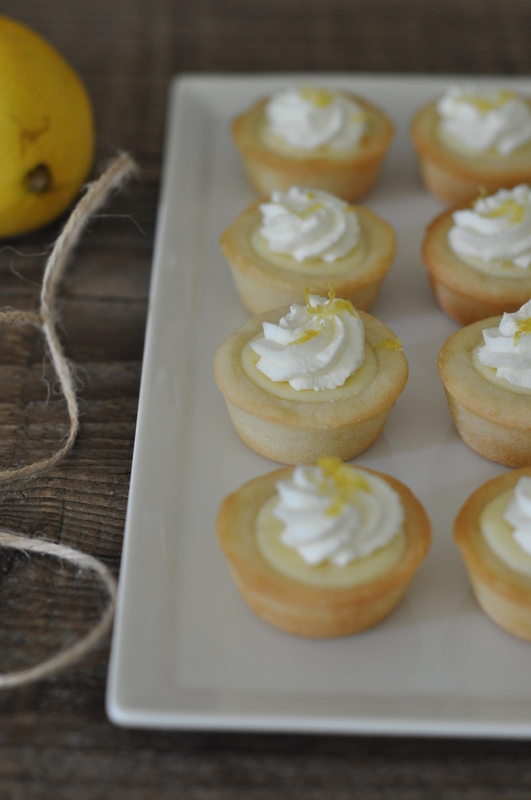 These are perfect individual bite-sized desserts, great for any occasion. 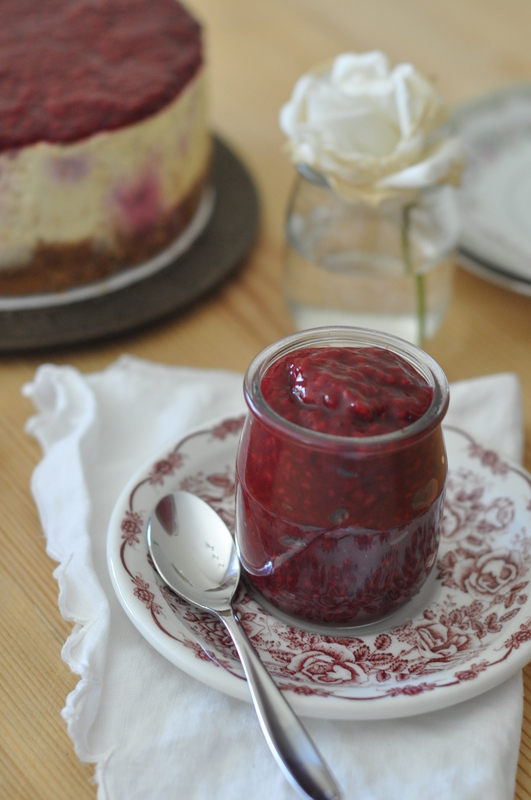 If you have fresh raspberries, feel free to use them for this recipe; however, frozen raspberries work great as well. 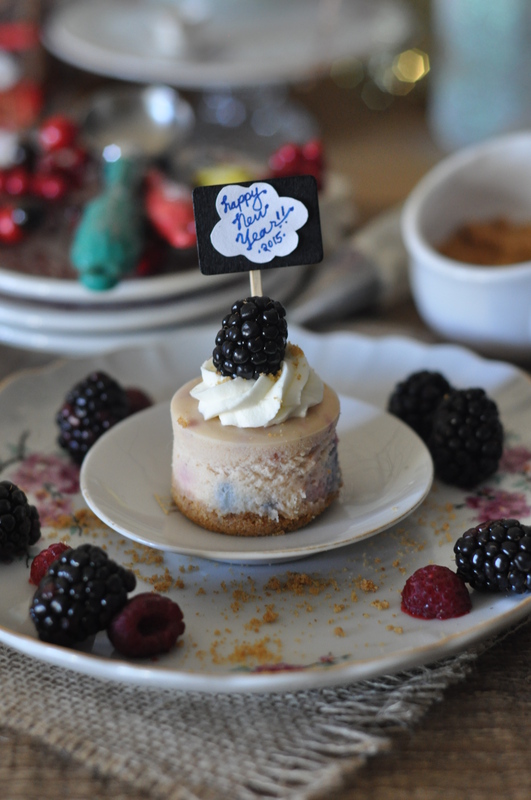 Wishing everyone a year filled with eating lots of desserts! 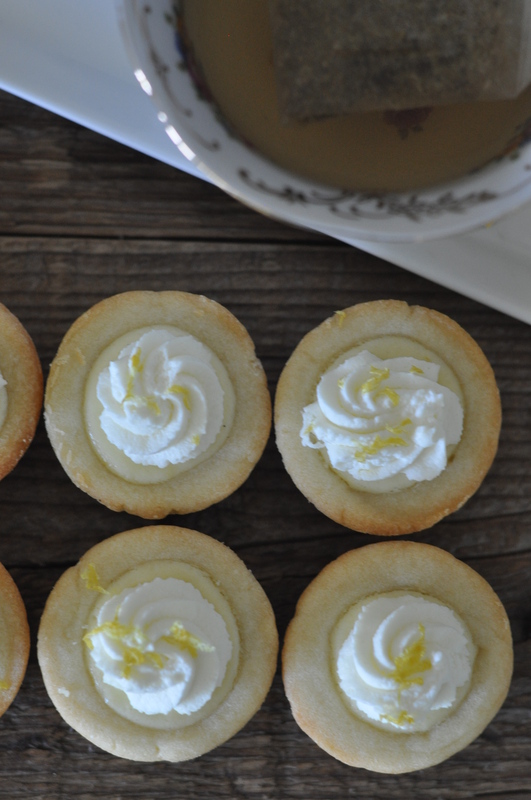 I’m looking forward to creating more sweets and sharing them with you! I actually had extra crumbled graham cracker in my pantry so I basically eye-balled the ingredients to make the crust, which included graham cracker, sugar, vanilla powder, cinnamon and melted butter. I have used this graham crust recipe before in a previous post. If you’re curious, it can be found here. Add eggs and yolks. Continue to mix. Gently mix in raspberries to the mixture. Bake at 275F for 15-20 minutes. 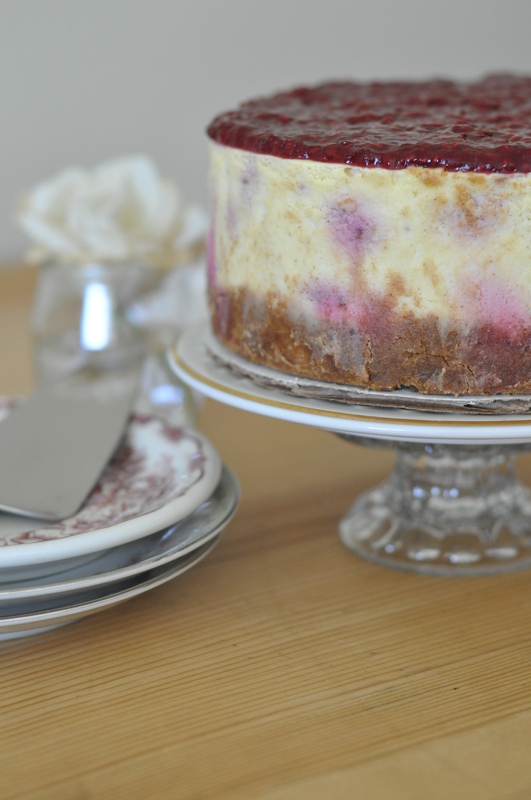 Cheesecake is done when it is firmly set. Remove from the oven and allow to cool completely. 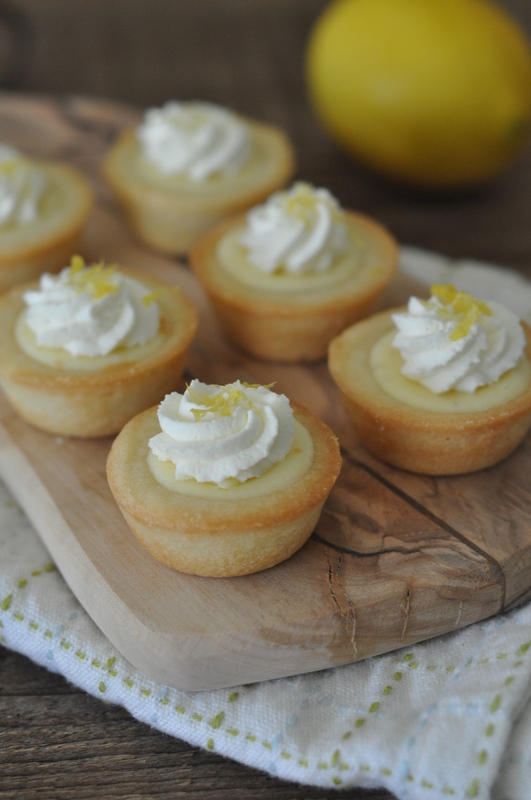 Following my tartlet series, this is my third flavor using the same tart shell recipe as my dark chocolate ganache and lemon cheesecake tartlets. 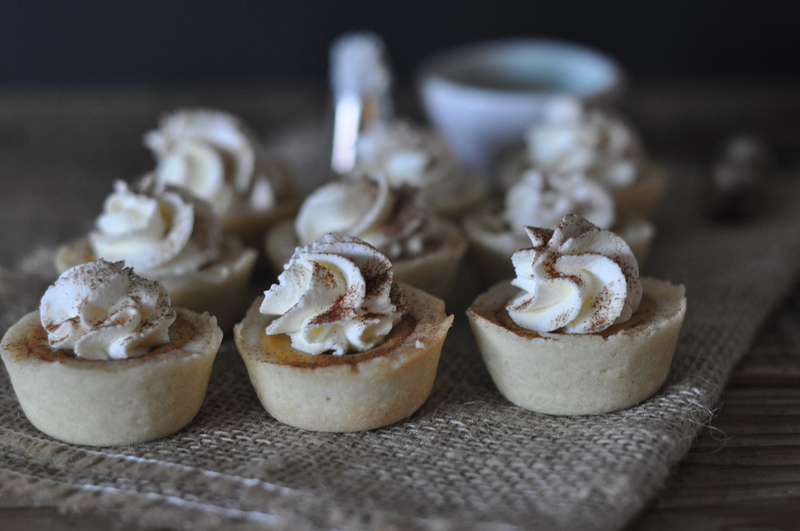 Fall is my favorite season and pumpkin flavored anything is a must when October rolls around. 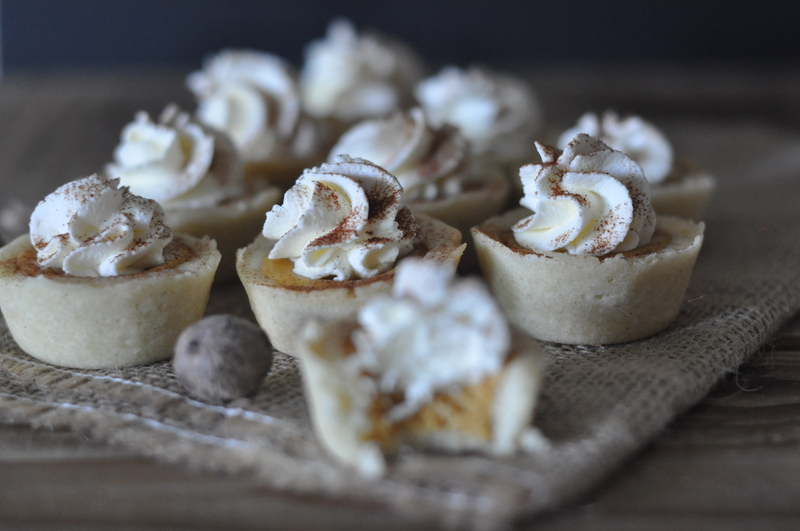 The tartlets were full of pumpkin flavor and they definitely reminded me of a pumpkin pie more than a cheesecake. 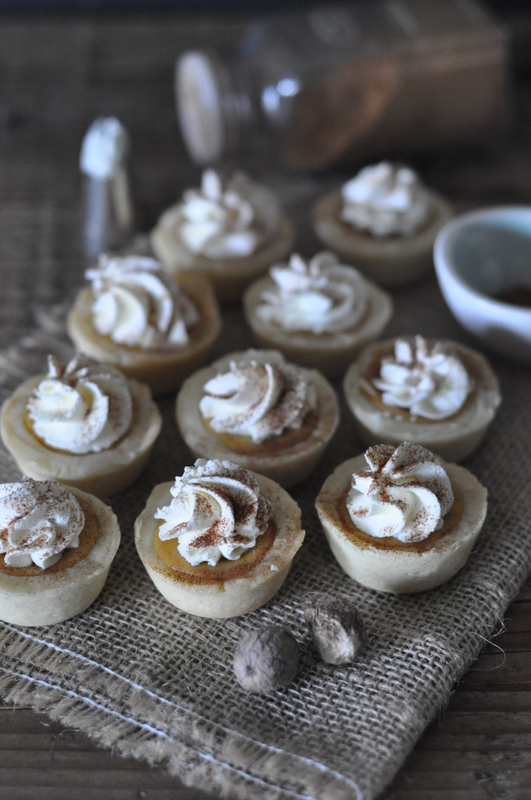 You can replace the tart shells with a graham cracker crust, which was what my husband preferred. 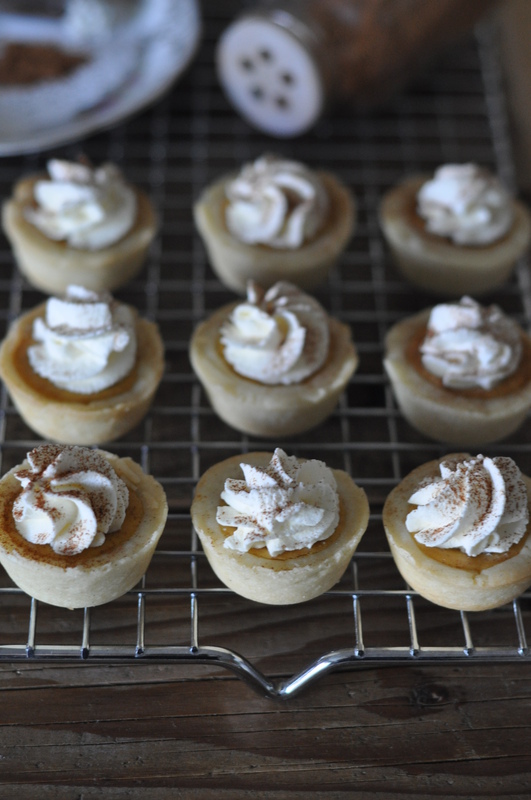 In fact, the pumpkin cheesecake recipe listed below yields plenty, enough to make 48 mini tartlets and a 6-inch cake. If you don’t get to using all of the filling at once, it does keep well in the refrigerator for a few days. Otherwise, you can divide the filling recipe in half. Using the paddle attachment of a mixer, cream the cream cheese, brown sugar, cornstarch and cinnamon together. Stop and scrape down the sides. Continue to paddle until smooth. Add the eggs. Continue to mix. Add the pumpkin puree and mix on low speed. Scrape down sides as necessary. Add the evaporated milk and mix until fully combined. 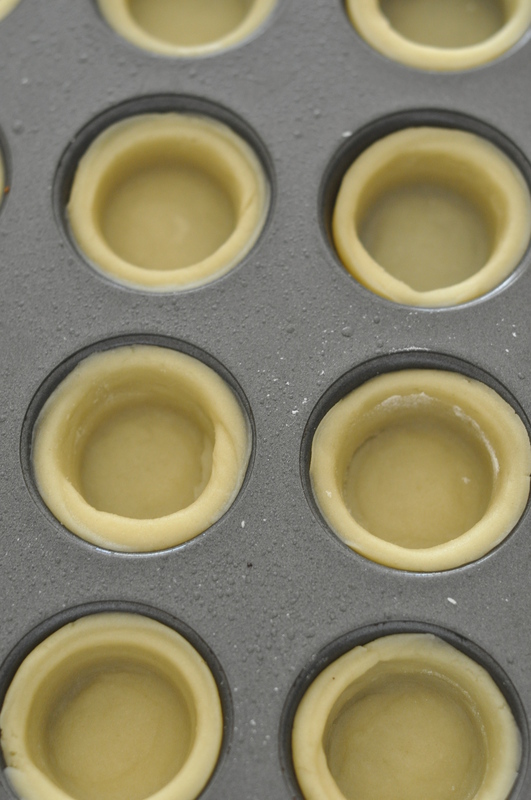 Fill a pastry bag with the pumpkin cream cheese filling and carefully pipe into the tart shells. Bake at 275F for 20 minutes, rotating halfway. 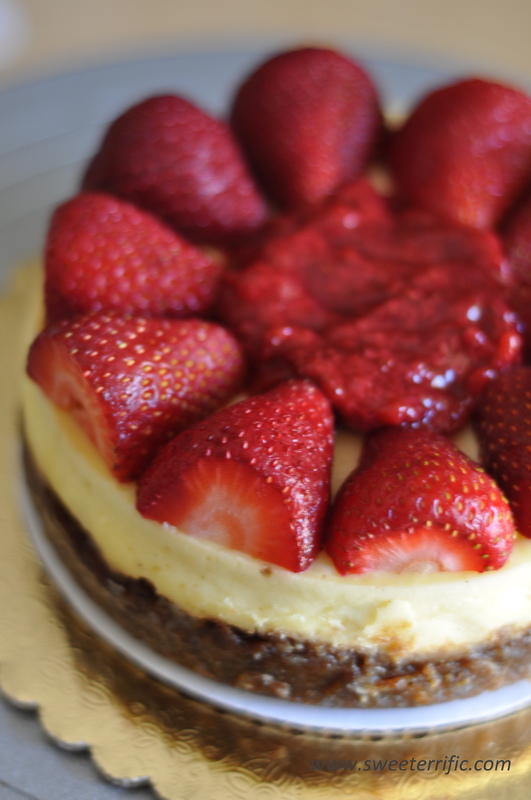 Recently, I realized how much I enjoyed cheesecake (in moderation, of course). Since it can be really rich, usually a few bites will do it for me. Plus, in my opinion, it’s quite versatile because there are endless flavor combinations. 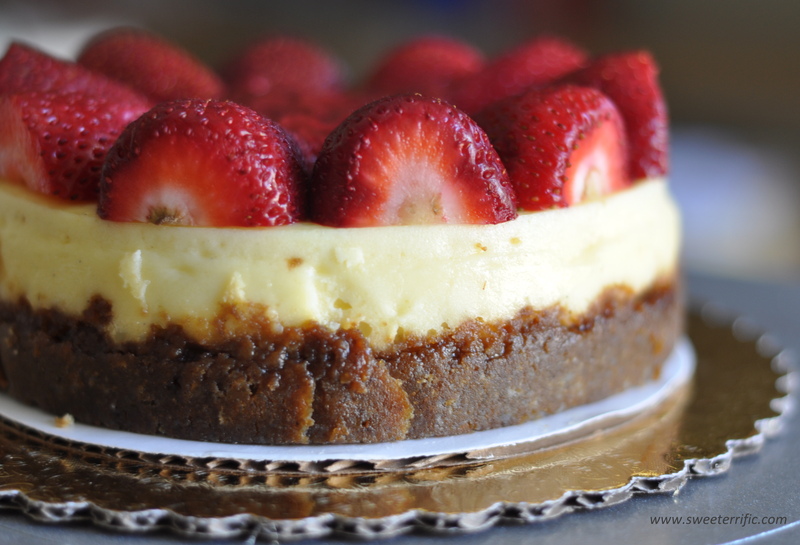 So over the 4th of July break, I decided on a vanilla cheesecake with slight lemon zest and topped it off with strawberry sauce and fresh strawberries. 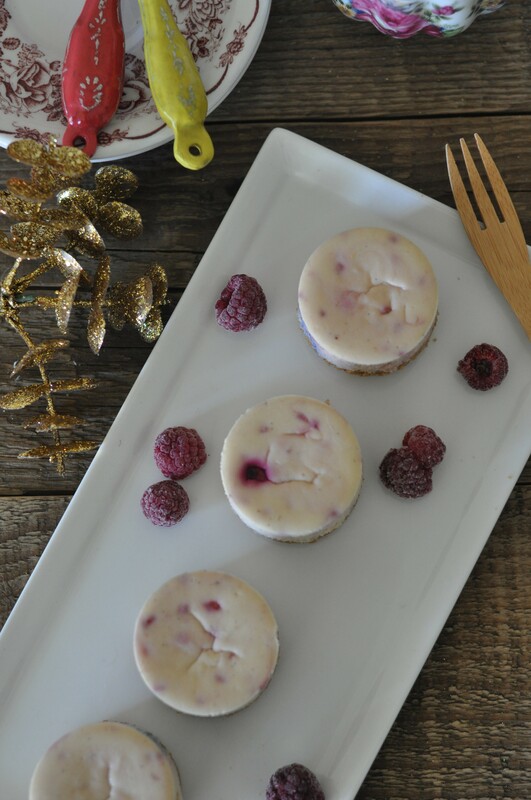 The cheesecake freezes well so if you don’t finish the cake in one sitting, it can easily be saved for next time! Instead of a traditional graham cracker crust, I made a gingersnap cookie crust. I had gingersnap cookies around, which I turned into crumbs to make the crust. It gave a chewier texture and a slight spicy kick. Mix melted butter, crumbs, and sugar until the mixture comes together. 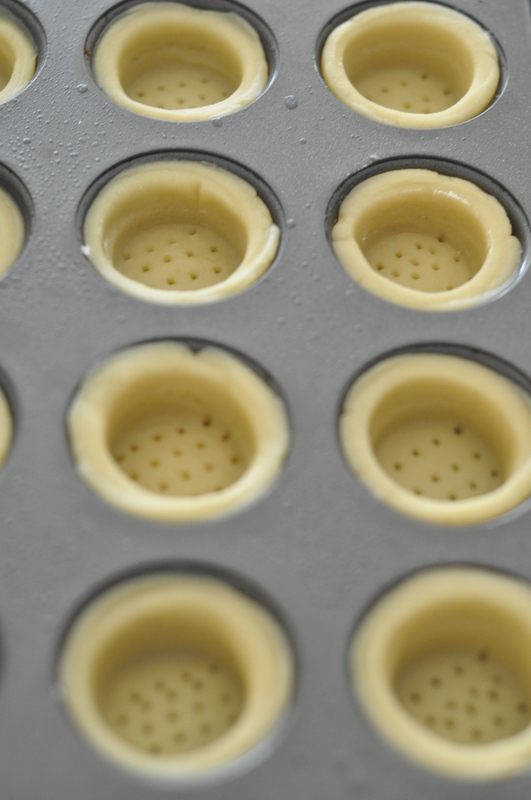 In a well greased 6-in cake pan, press crumbs into the bottom of the pan. Bake at 350 for 5-7 minutes. In a mixer bowl, paddle cream cheese and sugar until smooth. Add sour cream and mix. Scrape down bowl if needed. Add one egg at a time. Mix in between. 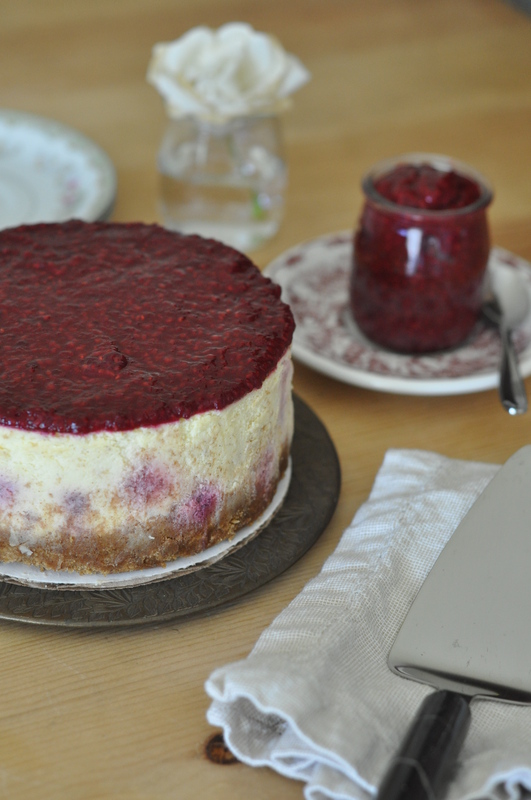 Bake at 275 F for about an hour, or until the cheesecake is firmly set. To prevent any cracks on the surface of the cheesecake I placed a pan with hot water at the lowest rack of the oven. To make the strawberry sauce, clean and cut strawberries into quarters. 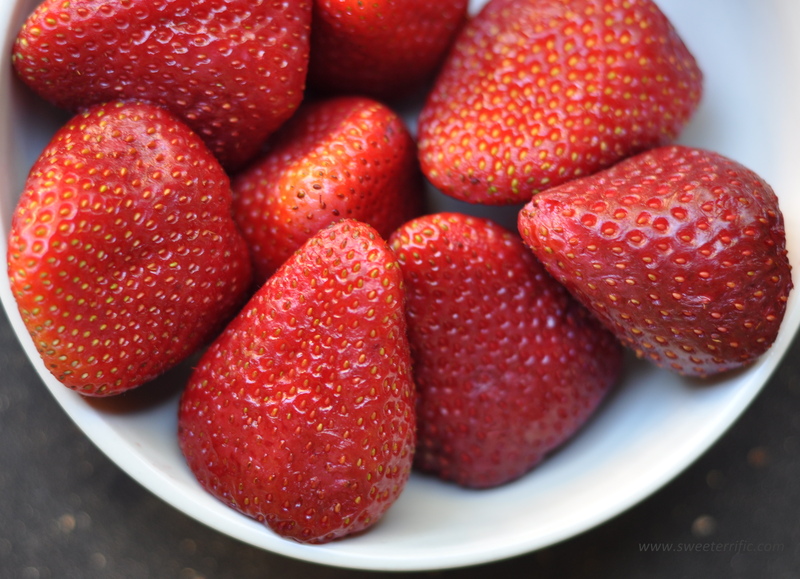 In a pot, bring strawberries and sugar to a boil. (The amount of sugar depends on how sweet you want the sauce to be. You can add more sugar as the strawberries cook). Continue to cook on low heat, stirring occasionally until sauce thickens. 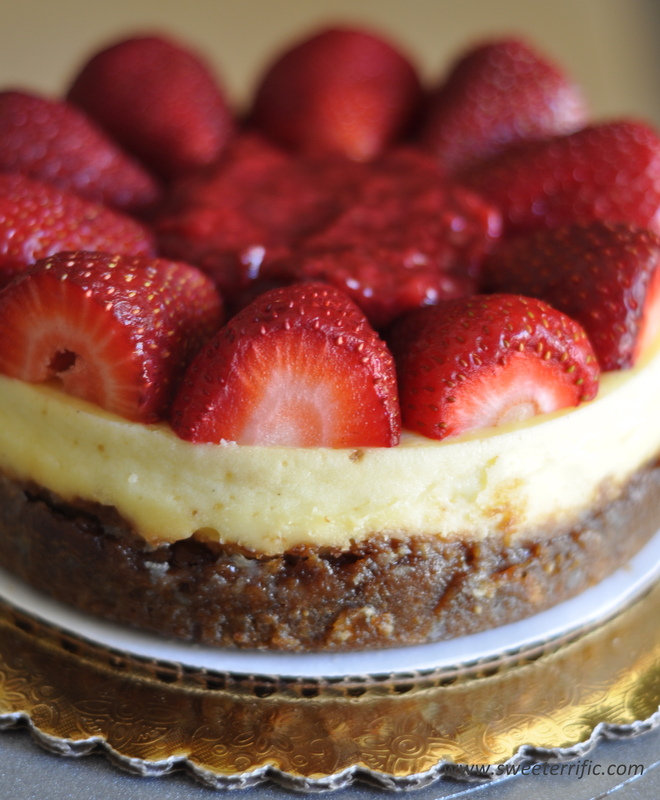 Allow cheesecake to cool before topping with sauce and fresh strawberries.